From BCR "Mature rosettes in a ball, each less than 1cm. diameter with few leaves. Silvery grey/green contorted, congested growth which slowly forms multiple connected apical stems (no central meristem) which keep dividing but rosettes rarely bloom. 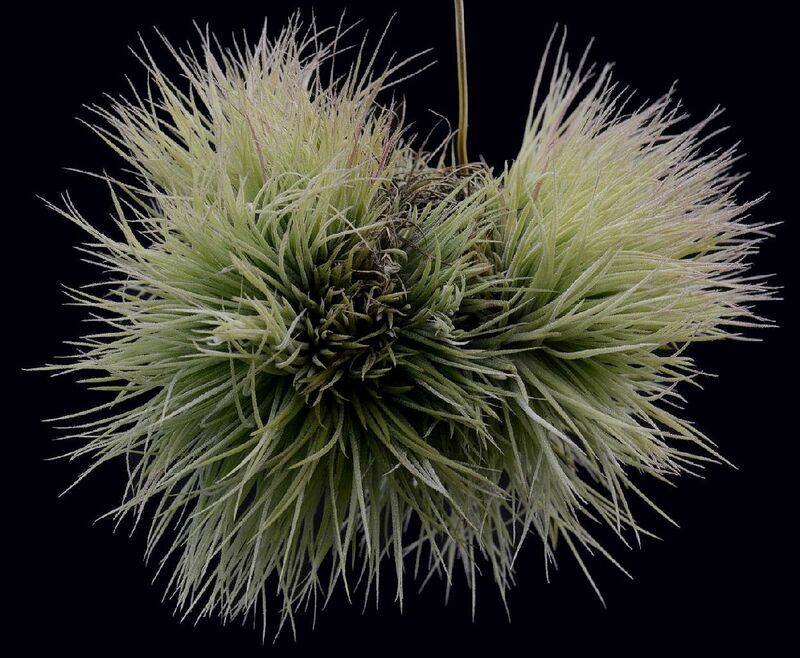 This vegetative mutation arose in 1995 at Rainforest Flora Inc. Nursery, Los Angeles from the "standard, Mexican form" of T. ionantha which were originally wild-collected in the 1970s. Ionantha Group. Reg. Doc. 1/2015. Country of origin: California USA"
Peter Tristram ... "This weirdo, ex RFI, goes by the name of Monstrose and sure is a mutant. I am trying to figure out how to divide it!"